Formidable in spirit and skill, the young warrior dresses for war in the David Oiled Chainmail Hauberk. 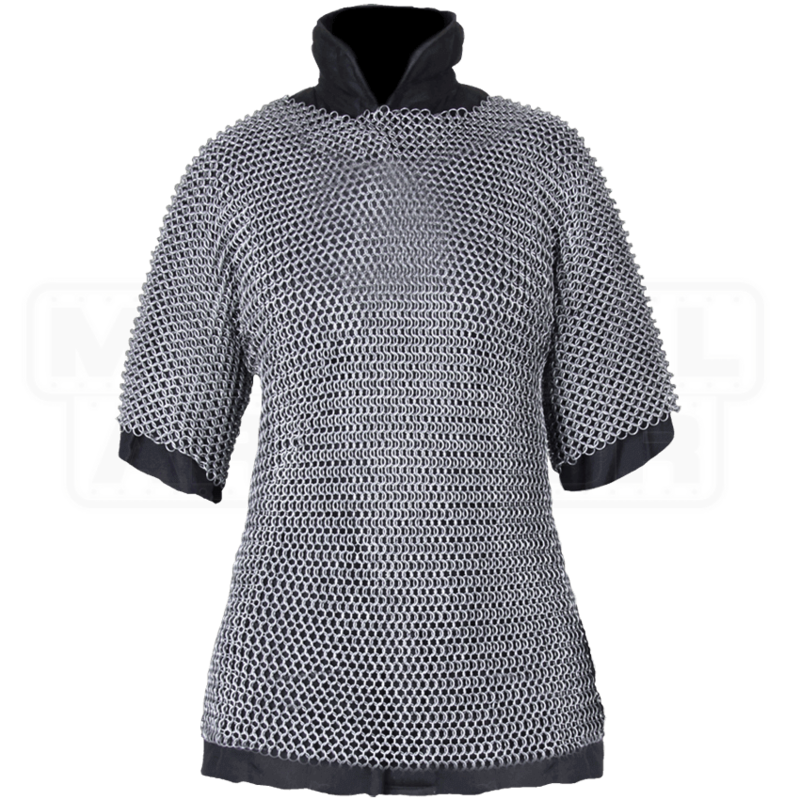 With its steel rings woven in a traditional 4-in-1 pattern, this chainmail shirt is designed for children and small adults. Untreated by chemicals but covered in protective oil, this armour piece features a short sleeve construction that works well for layering and complements many medieval and fantasy styles. Occasional oiling is required to help the hauberk maintain its quality. Best when worn over a padded gambeson for safety and comfort, this steel hauberk can be further combined with plate armour and leather pieces to achieve a comprehensive warrior look. 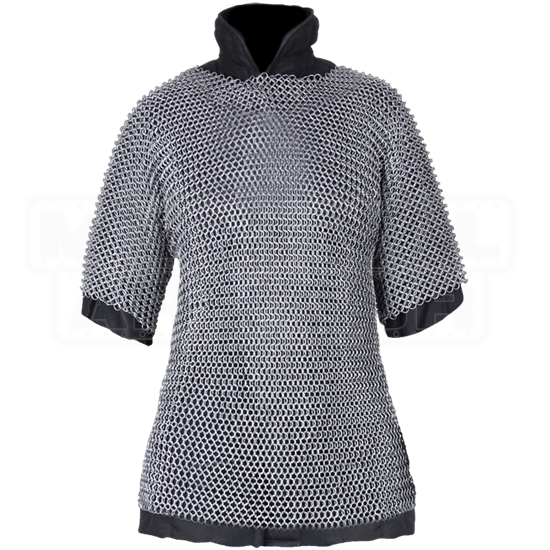 The David Oiled Chainmail Hauberk is great for adding authenticity to armored character costumes or lending extra coverage to a LARP ensemble.